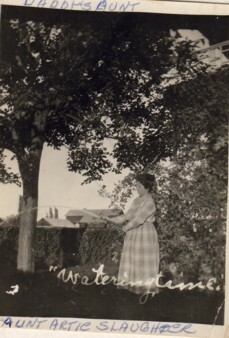 Artie Ann Holliday was born 19 Jun 1894 in Menard County, TX, and died 18 Mar 1969 in Brady, McCulloch County, TX. She was the daughter of Francis Ayres Holliday and Jennetta Catherine Page. 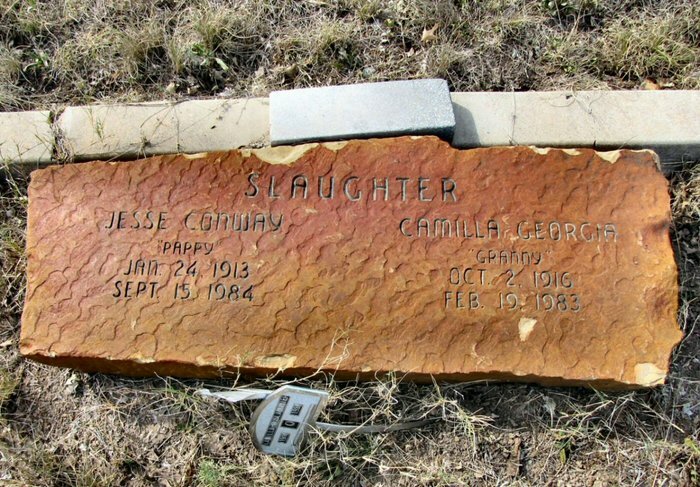 She married Jesse James Slaughter abt 1911 in McCulloch County, TX. 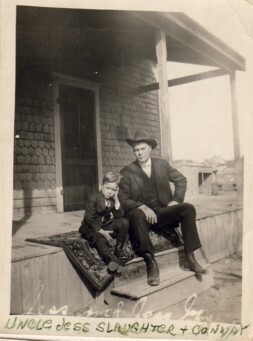 He was born 23 Apr 1891 in Texas and died 18 Dec 1969 in Brady, McCulloch County, TX. Jesse Conway Slaughter b. 24 Jan 1913, Menard County, TX. d. Sep 15, 1984 Brady, McCulloch County, TX; m. Camilla Georgia Crump, 02 Oct 1916, d. 19 Feb 1983. Burial Ft. McKavett Cemetery, Schleicher Co. TX.